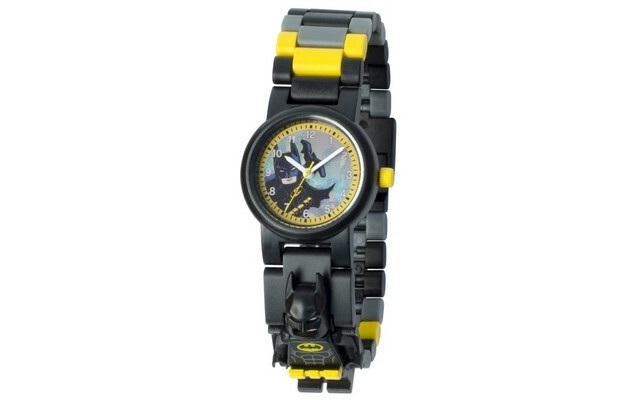 .Become the hero Gotham deserves with the all new LEGO® DC Super Heroes™ Batman™ minifigure link watch! It’s time to protect the innocent and bring the bad guys to justice! Prepare to save Gotham from terror once again with this excellent new addition to the LEGO® watch catalogue. Your time is now! Be the hero! Become the hero Gotham deserves with the all new LEGO® DC Super Heroes™ Batman™ minifigure link watch! It’s time to protect the innocent and bring the bad guys to justice! Prepare to save Gotham from terror once again with this excellent new addition to the LEGO® watch catalogue. Your time is now! Be the hero!